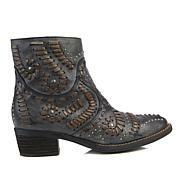 Inspired by a life well lived, these distressed leather ankle boots are a dream find. Crafted with metallic leather star accents and an easy pull-on fit, you'll find yourself reaching for the iconic design again and again. Jeans, shorts, sundresses and skater skirts... a star is made. Released my inner cowgirl ! 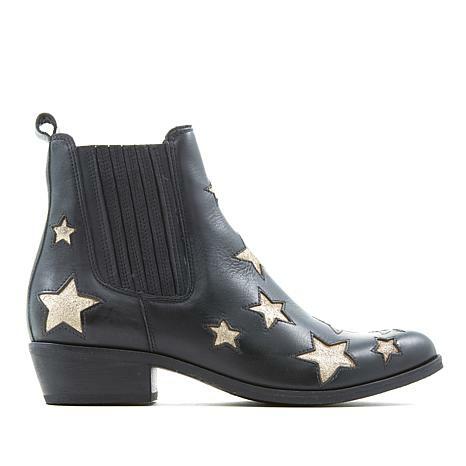 Who knew a leather bootie with stars would capture my heart!!! 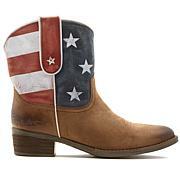 This boot is so cool! At first I thought it would be a little difficult to get on and off, but I don't seem to any have trouble. The design is ageless...you don't have to be "young" to wear it. These boots are absolutely beautiful. They fit well and they're so comfortable. I also ordered the tan ones. They are really cute and I get lots of compliments and inquiries. Thank you. 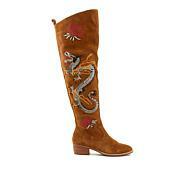 A must-have boot for all seasons! 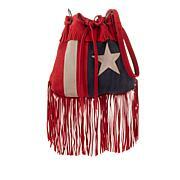 Thank you, Sherly for your sense of style and quality of materials you use!